When only the finest will do! This stunning home is situated beautifully at the end of a cul-de-sac. 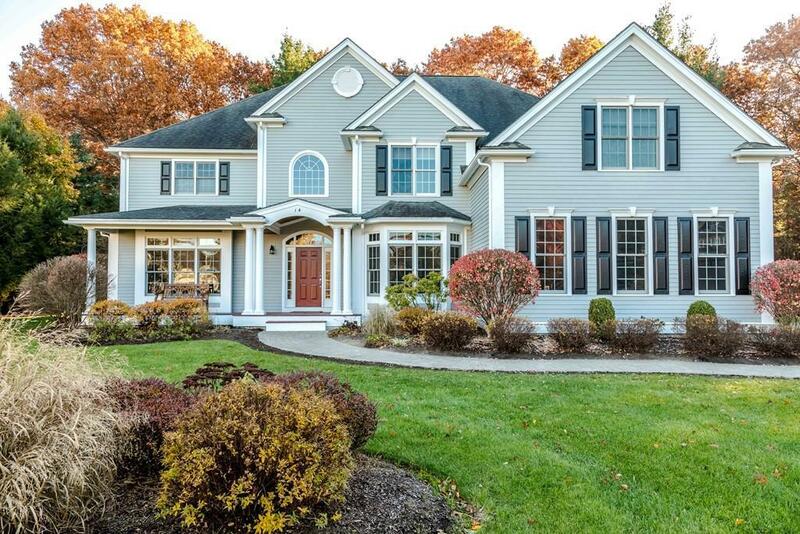 With its farmerâs porch, two story foyer, open floor plan & exquisite detailing, this home will appeal to all. The gourmet kitchen with top-of-the-line appl., center island & wet bar flows directly into the sun-filled family room w/gas FP. Elegant DR & LR with hdwd floors, transom windows and custom millwork set the stage for entertaining. Enjoy your morning coffee in the fabulous sunroom overlooking the private yard. Office, mud room area, powder room and 9â ceilings complete this level. The 2nd floor offers a gorgeous master suite, spacious master bath and a walk-in closet that would be the envy of all. Three addtl BRs, one w/en-suite bath & two w/Jack & Jill bath, a bonus room & laundry room round out the 2nd floor. The finished LL offers media, game & exercise rooms and a full bath. The private backyard abutting acres of the Wildlife Refuge is perfect for all gatherings. A must see!